Ruth Is 90 Years Young! 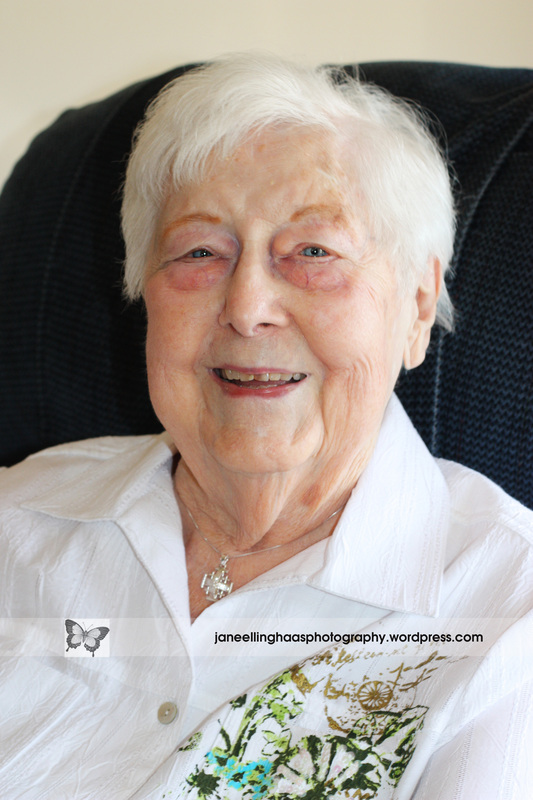 Posted on March 5, 2010 by Jane Louise Photography | Comments Off on Ruth Is 90 Years Young! Ruth recently celebrated her 90th birthday with family and friends! She looks forward to her new decade with great faith, a positive attitude, and her winning smile. I hope to see her happy face on a Smuckers jar, featured by Willard Scott of NBC, when she turns 100! Her eyes are a beautiful blue, and lately she has been sporting a shorter than usual hair cut. I think it makes her look 20 years younger! She wanted to make sure that her new Jerusalem cross necklace showed in the photo. It was a special gift to her. 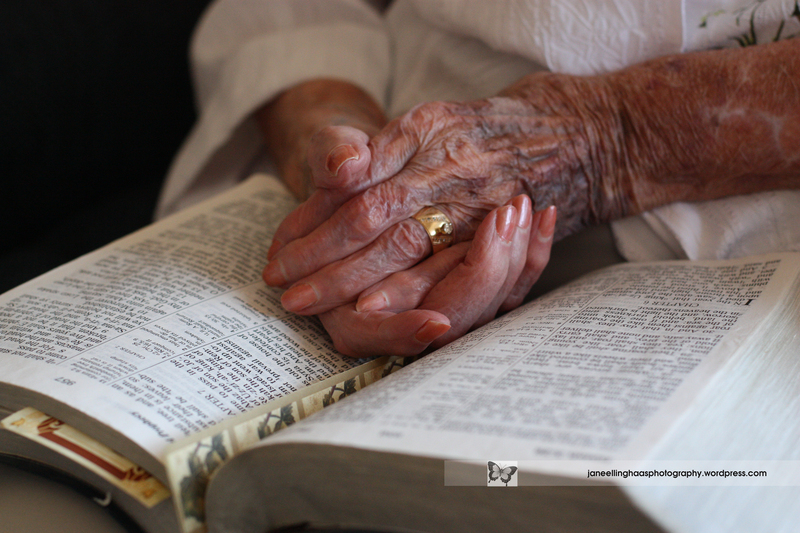 Here’s my fave photo of this morning’s session: Ruth’s hands and her Bible. She is a woman who is daily in the Word, and the living Word is in Ruth. You’d know she’s a Christian by her love. God bless & keep you, sister! For a sample of my “Legacy of Life Wall Art” click on my Flickr album in the sidebar. This entry was posted in Senior Citizens and tagged natural light, St Louis area photographer of families and children. Bookmark the permalink.